Thinking of a Career in the Barber Business? See if Cosmetology is right for you and how you can start a successful career in this exciting industry. Sign up for a FREE Catalog & Information Sheet. You�ll receive inside insights and career information by email right away. We do not sell, rent or transmit personal information to other organizations. This request for information is so that we can communicate with you about our programs & school locations. Welcome to Cloyd's Barber School and congratulations on exploring a career in this rewarding field! Did you know that there are six job openings for every one Barber expert in the industry? That's career security! No other field offers you the ability to be creative and do work you're passionate about, while also offering such incredible opportunities. If you're interested in style, enjoy working with people and are looking for a professional career where you can thrive - The Barber Profession is perfect for you. If you're considering starting your career as a Barber Professional, the best thing to do is come in and meet with a friendly, knowledgeable Cloyd's Barber School Career Advisor. When you visit our campus you can meet with faculty and staff and see first-hand how our career programs run. 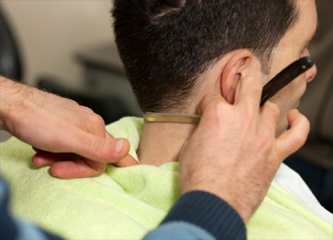 You can speak with students and our instructors who are working professionals in the Barber field. 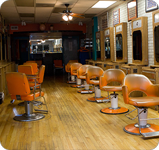 Plus, you can see for yourself exactly what it's like to work in a professional shop or salon by touring our state-of-the-art facilities. You can also meet with a financial advisor. When you come in we'll help you go through any necessary paper work and make sure you get all the financial aid you qualify for. So you can start school worry-free! Coming in for a tour is a great way to get a feel for how we operate at Cloyd's Barber School and see if our career training is a good fit for you. Plus, it gives us a chance to speak in person to go through how we can best help you reach your goals. You are welcome to bring a friend or family member along! Cloyd's Barber School is proud to be the Only Privately Owned Barber School approved by the Louisiana State Board of Barber Examiners to operate in the Twin Cities. Call (318) 322-5465 or (318) 388-1046 today and make your dreams a reality! © Copyright 2012 Cloyd's Barber Schools. All Rights Reserved.